With steam heating systems, you can count on one thing: They will always need feed water. How much water they need depends a lot on the system’s age and condition, but the feeding process never ends. Where does the water go? It leaves the system by evaporation, through leaky air vents on the radiators and mains. This type of leakage is especially aggravated by steam pressure that’s kept higher than necessary for the system, a condition we see all the time. And then there are buried pipes. Even if there are just a few feet of buried return line on the system, there’s a good chance it’s leaking. Some home owners like to feed their steam boilers by hand, but the vast majority of home owners choose the convenience and back­up safety advantages of an automatic water feeder. That’s because their heating contractors took the time to explain the benefits to them. For instance, suppose there’s a leak in the system during the dead of winter when they aren’t home. An automatic feeder will keep the boiler running at its safe, minimum water line, and will keep the house warm. A feeder can also protect a steam boiler by keeping it fed with water should the gas valve lock itself in the open position. How much water a boiler needs to keep operating depends on its firing rate, and this is very easy to calculate. 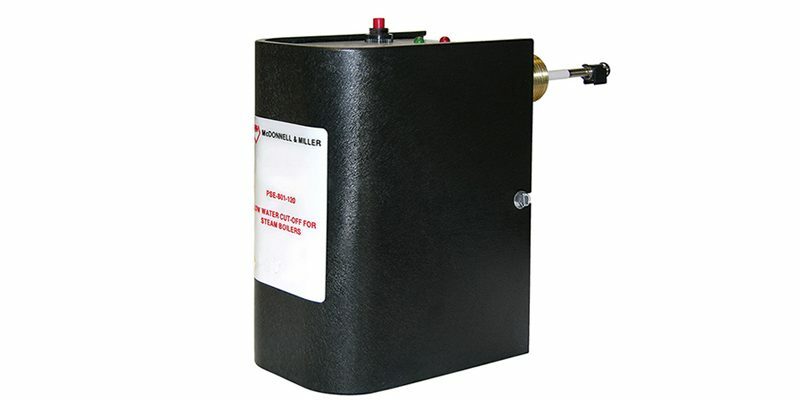 It works like this: All boilers, regardless of their size, lose water to steam at a constant rate. Ideally, they should be fed at 1 GPM per 250,000 Btu/hr., Gross Load (D.O .E. Heating Capacity). So, if a boiler is rated for, say, 500,000 Btu/hr., and the water level drops to the feed line, you should be adding about 2 GPM to keep the burner on. 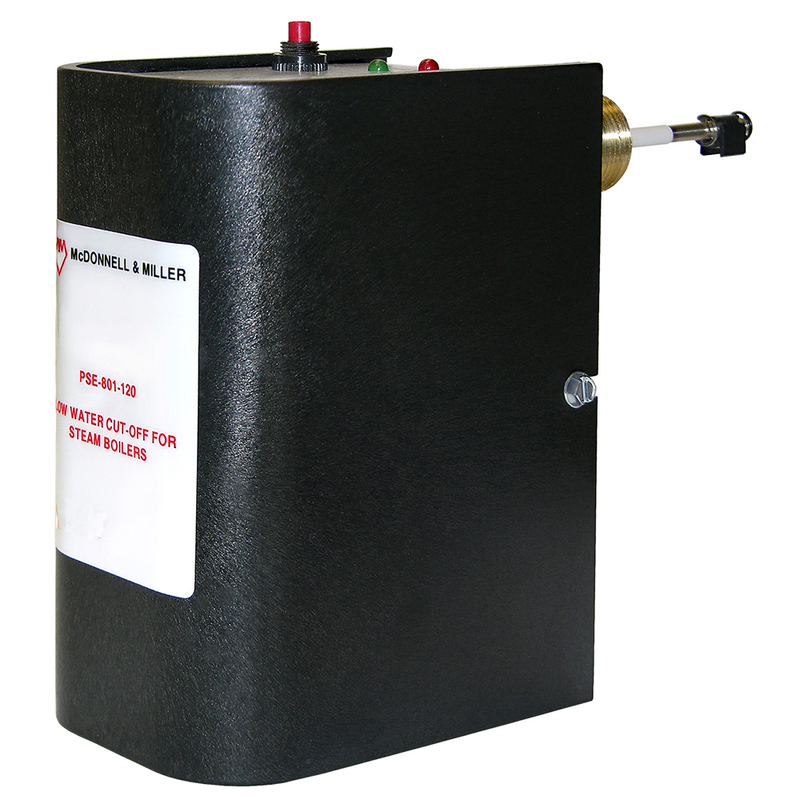 In residential steam heating, you can do this very effectively with McDonnell & Miller’s WFE Water Feeder. When boiler manufacturers reduced the size of new steam boilers, the people at M&M designed this feeder to protect those smaller boilers from nuisance shutdowns. The WFE Water Feeder takes its signal from either a Series PSE-800 probe-type or a Series 67 float-type low-water cutoff. It has a timing circuit that waits for a minute, feeds for a minute, waits for a minute, and so on. This well-thought-out feed cycle allows the condensate to return, greatly reducing the chance of a flooded boiler. It’s important to know that a new McDonnell & Miller WFE Water Feeder includes three separate orifices. There’s one already installed in the feeder at the factory, and it’s set to feed 2 GPM. This orifice will satisfy any steam heating boiler with a gross rating up to 500,000 Btu/hr. The feeder also comes with two additional orifices, one for a feed rate of 1 GPM, and the other for a feed rate of 4 GPM. If you’re working with a very small replacement steam boiler – say, one rated at 125,000 Btu/hr. – you should use the 1 GPM orifice, which is good for boilers up to 250,000 Btu/hr. This smaller orifice will feed at a slower rate and lessen the chance that returning condensate will flood the boiler. 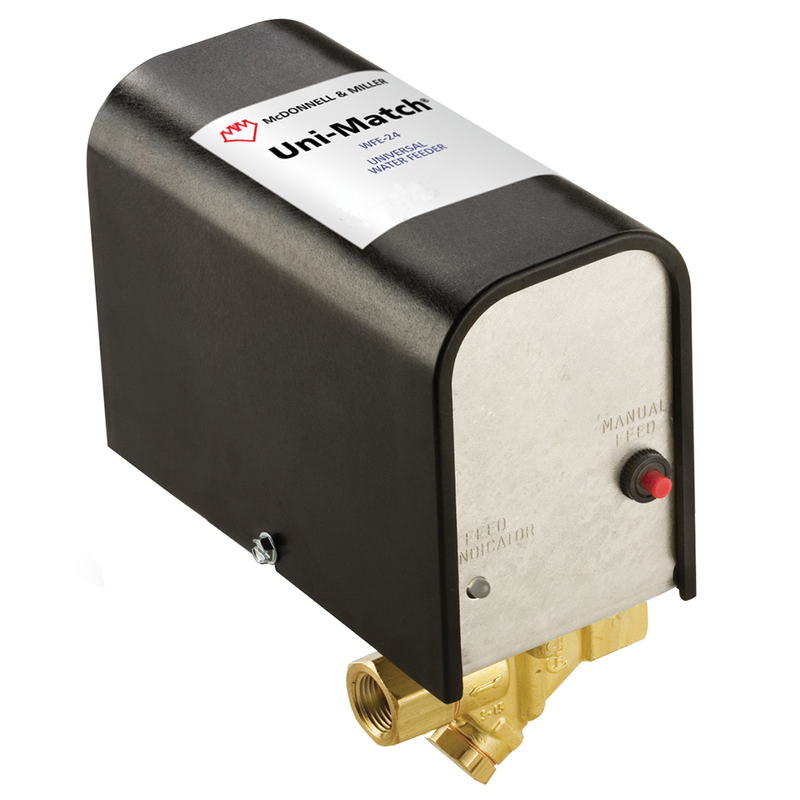 If you have a larger steam boiler, one rated up to 1,000,000 Btu/hr, switch to the 4 GPM orifice. This larger orifice will let the feeder keep up with the needs of a bigger boiler and stop it from shutting down should a leak develop in the system. Click here to download the April 2019 SteamTeam pdf file.